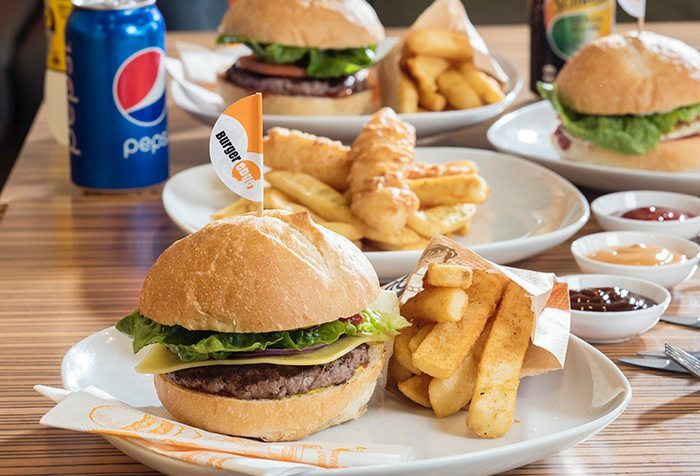 Order the Colossal Beef, The Boss or Peri Peri Chicken burger from a Burger Edge restaurant near you. From $5 Delivery*. $25 Minimum Spend. Get Burger Edge delivered to your door! We all have our go-to comfort food, but some can be less than of a high standard. However, at Burger Edge, the motivation behind their mouthwatering burgers is to make their comfort food without lowering standards. It’s all about having a high appreciation for quality ingredients! If you love burgers, then Burger Edge has something for every palate. Their focus is to fulfil the growing demand for top quality, quick service burgers that are served fresh and tasty, but are still value for money. With a menu that boasts appetising beef burger names such as: Feel the Cheese, Colossal Beef and The Boss, Burger Edge also features lip-smacking chicken burgers. Try a Chicken Parma, Peri Peri Chicken or Crispy Chicken burger. If you are after a vegetarian meal, Burger Edge has both vegan and vegetarian options. There’s also a wide range of sides and loaded fries to choose from. If you're too busy to go out to grab your favourite Burger Edge burger, have one delivered to you. Simply order your meal through Menulog, and you'll be enjoying a flavoursome, juicy burger without leaving your home or office. Use the Menulog app or order online in a matter of minutes.